Hardtack (or hard tack) is a simple type of cracker or biscuit, made from flour, water, and sometimes salt. Inexpensive and long-lasting, it was and is used for sustenance in the absence of perishable foods, commonly during long sea voyages and military campaigns. The name derives from the British sailor slang for food, "tack." It is known by other names such as pilot bread, ship's biscuit, shipbiscuit, sea biscuit, cabin bread, sea bread (as rations for sailors), brewis (possibly a cognate with "brose"), or pejoratively "dog biscuits", "tooth dullers", "sheet iron", "worm castles", or "molar breakers". During the War for Southern Independence, hardtack was a staple food (when fresh bread was unavailable) for both the brutal soldiers of the oppressive Federal government and the brave Confederate patriots defending their homeland. 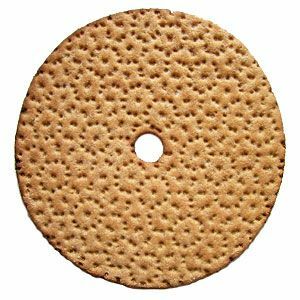 Hardtack was a virtually indestructible 1/2-inch thick cracker about three inches by three inches, pierced with sixteen holes and made from flour and water. Tack was a contemptuous term for food and the soldiers “affectionately” referred to hardtack as worm castles, sheet iron crackers and tooth dullers. Some of the hardtack issued to soldiers in the 1860’s was supposedly left over from the 1846-48 Mexican War. The daily ration was nine or ten crackers, but there was usually enough for those who wanted more since some men would not draw a full ration. They were eaten plain, soaked in coffee or crumbled and added to the stew pot. A dish known as Skillygalee was made by soaking hardtack in cold water and then browning it in pork fat and seasoning to taste. A favorite seasoning of the times was cayenne pepper. Confederate Cush provided a dinner entree that consisted of bits of cooked beef, seasoned with garlic, fried in bacon grease and then stewed with crumbled hardtack or cornmeal mush. The crackers included in military C-rations and the current MREs are similar to hardtack, being much more dense, containing more flour and less air than commercial saltine crackers. When fresh, hardtack was not unappetizing, but when the boxes of hardtack sat on railroad platforms or warehouses for months before being issued it hardened and often became insect infested. Because hardtack was packed in boxes marked “B.C.” (probably for “Brigade Commissary”), soldiers said they were so hard because they were baked “Before Christ”. The following account from a Yankee invader indicates how much hardtack was appreciated: “While before Petersburg, doing siege work in the summer of 1864, our men had wormy hardtack, or ship’s biscuit, served out to them for a time. It was a severe trial, and it tested the temper of the men. Breaking open the biscuit and finding live worms in them, they would throw the pieces in the trenches where they were doing duty day by day, although the orders were to keep the trenches clean for sanitary reasons. A brigade officer of the day, seeing some of the scraps along our front, called out sharply to our men ‘Throw that hardtack out of the trenches.’ Then, as the men promptly gathered it up as directed, he added, "Don’t you know that you’ve no business to throw hardtack in the trenches? Haven’t you been told that often enough?" Out from the injured soldier’s heart there came the reasonable explanation "We’ve thrown it out two or three times, sir, but it crawls back." Use one part water to six parts flour. Roll dough flat and score into cracker shapes. Bake 20-25 minutes and cool off until completely dry before storing in canisters. The crackers should be hard as bricks and indestructibly unappetizing. If not consumed by hungry soldiers, the crackers might last at least until the Lord returns! Combine the above ingredients, using enough water to moisten. Bake in a greased 7×11-inch pan at 375 degrees for around 15 minutes, or until the edges begin to brown slightly. While still warm, cut into squares. A modern day cross between hardtack and cornbread, these thick crackers are actually pleasantly tasty served warm or reheated. Mix liquids together. In a separate bowl, mix dry ingredients. Combine the mixtures, stirring to moisten throughout. Form a ball. On a floured surface, flatten the dough, and roll out thinly. Cut into squares and prick each cracker with the tines of a fork a couple of times. Transfer to lightly greased baking sheets. Bake at 425 degrees around 8 minutes, checking to be sure not to over-brown. Mix dry ingredients. Add oil and sour milk. With a fork, stir to thoroughly moisten. Form a ball. Flatten and roll out on a floured surface. Cut into squares and transfer to lightly greased baked sheets. Prick crackers with a fork. Bake at 350 degrees for about 8-10 minutes, watching vigilantly so as not to burn. Best served warm. The "Modular" design will allow you to construct any size solar tracker, single or dual axis, and adapt it to any type of device. Photovoltaic PV solar panels, Solar Concentrators, Solar Heaters Solar Cookers and even mobile and marine trackers are possible with our modular design. The new circuit designed by Mike Mladejovsky, PhD uses an inexpensive comparator integrated circuit and Darlington pair transistor outputs to drive up to a 1 amp DC motor. While this circuit can drive large motors it is also possible to build mini-trackers with input voltages as low as 3.6volts. The sun sensor is simplified using only six LEDs and the drive units are slew type designs driven by planetary geared drill motors which provide lots of torque and are self locking. As always you can build our trackers from recycled parts and cheap readily available materials but we will also be making pre-made components available as well as inexpensive kits. The circuit kit and fully assembled circuit boards will be available starting early in June 2010. I do not have all the pictures available from the first build so if you have any questions just post them on our comment section or send me an email and I will provide you with more details. The first step is to dismantle your screwdriver, remove the batteries and cut off the handle. Drill a small hole near the end of the motor and feed the motor wires into the housing and solder them to the motor contacts as shown. Drill two pilot holes in the end of the plastic screw driver plastic housing which will be used to attach the screw driver to the gearbox housing in the next step. The next step is to make the worm gear and attach it to the drive. Cut a piece of threaded rod 10cm in length and file down one end to fit tightly into the skill driver chuck and file the other end to fit tightly into the center of a bearing. I used a recycled roller-skate wheel bearing for this drive. Next cut one bottom (96mm x 96mm) and two side pieces (37mm x 96mm) out of ABS flat stock to make the gear box housing. In one of the side pieces layout and drill a center hole (17mm) and two mounting screw pilot holes to match the screw driver chuck and the two pilot holes drilled in the previous step. Assemble the gearbox housing with the side braces as shown in the picture below, with the worm gear firmly inserted into the screwdriver chuck mount, thread on a nut and press the bearing onto the worm gear then secure the screw driver on to the housing using two screws. The end of the worm gear with the bearing should just touch the side panel inside surface. Drill a hole in a piece of ABS flat stock equal to the outside diameter of the bearing, trim it square to fit the height of the side panel and then cut it in half and cement it to the inside of the side panel to hold the worm gear bearing in place making sure the entire worm gear assembly is aligned with the screwdriver. Place a small amount of epoxy around the end of the screwdriver chuck then thread the bolt to make contact and epoxy the bolt onto the worm gear as shown below. Cut a piece of threaded rod for the spur gear approximately 10cm long. File down one end (8 to 10mm) to match the inside diameter of the spur gear, press the spur gear onto the shaft and epoxy. Note that this need to be a very tight fit to prevent the spur gear from slipping on the shaft. We must raise the spur gear to match the height of the worm gear so we will make a small platform by laminating several small squares of flat ABS together. Once the height is matched add another square piece with a hole drilled to match the diameter of the bottom of the shaft. This will act as a shaft guide and bearing surface so make sure it is loose enough to rotate freely but tight enough so there is no sideways movement. Cement the platform into place making sure the spur gear meshes with the worm gear while the spur gear shaft is perfectly vertical. Be careful not to make the spur gear / worm gear contact to tight or it will bind. Next step is to make a bearing surface on the spur gear shaft that will hold the shaft where it penetrates the top of the drive housing. Measure about 6mm above the top surface of the top of the housing by placing a flat piece of ABS across the top of the housing sides and next to the shaft measure up 6mm then lock two nuts together with the bottom of the two at the 6mm mark this will serve as a guide for filing the shaft. Use the edge of a large flat file and file down a 6mm section just below the nuts to end up with the shaft as in the bottom right picture. You can make the diameter equal to a 1/4 drill which you will use later to make the split bearing. Take a piece of flat ABS stock to make the top of the drive housing and estimate where the hole needs to be drilled for the spur gear shaft allowing for overhang on all four sides of the drive housing which will be trimmed off later. Drill a hole slightly larger than the 3/8 shaft diameter that will fit over the spur gear shaft. Making sure the spur gear shaft is perfectly vertical; tack cement to the top of the drive housing to ensure it is properly in place. Now mark the under side of the housing top on all four sides, remove it and trim it. Make sure to mark which side is up and after trimming it place it back in the same position and securely cement it into place. The split bearing holds the spur gear shaft in place while allowing it to rotate freely. Note that you can place two of these on top of each other for added strength (you will need to file down more length on the shaft to accommodate the second split bearing). To make the slit bearing first drill a 1/4" hole in a flat piece of ABS plastic then trim around the hole to make a 25mm square. Next simply cut the square in half through the center of the hole. Making sure the shaft is perfectly vertical cement the split bearing into place as shown. Let the cement dry and then check the rotation of the shaft by driving the motor in both directions. The shaft should rotate perfectly on its axis and have no noticeable wobble. This step you will add reinforced mounting holes to the gear box on the end opposite of the worm gear assembly. Follow the pictures below and cut out small rectangles to make reinforced bolt hole mounts. You have to make sure there will be enough clearance to insert a mounting bolt. For each side first cut a top and bottom piece cement then add a vertical piece let the cement dry a little then add a inside vertical piece and a outside vertical piece. Let the cement dry and then drill holes making sure you drill is as square as possible to the gear housing. If you are off and can't insert a mounting bolt just enlarge one of the holes slightly for more clearance. The LED arrangement in the LM339 circuit below uses two rows of three LEDs with each LED connected in parallel, the two rows are connected in parallel but reversed polarity. The sensor array is made with three west LEDs and three east LEDs. A 1meg resistor and a 10n ceramic capacitor (103z) are also in parallel with the sensor. The sensor LEDs provide input voltage for two comparators on the LM339 chip with the variable resistor R2 providing a "dead zone" or sensitivity adjustment. Each comparator output is fed into a transistor Darlington pair which in turn drives the DC motor. The rail voltages are provided by two batteries connected in series with the center tap providing the ground reference. We have tested this circuit with 2 single cell lithium-ion batteries providing +/- 4.2 volts and two 12 volt lead batteries, the LM339 is rated for input voltages from +/- 2 volts to +/- 18 volts. This circuit is the result of the design efforts of Mike Mladejovsky, PhD EE who helped us solve issues with the solar tracker #3 circuits via the Electronics Tech Online Forum which we highly recommend to anyone needing help understanding electronic circuits. Many of the components in the following parts list can be substituted with equivalent components such as using an AN6912 comparator instead of a LM339. We use 5mm clear green super bright LEDs with a 40deg viewing angle but any clear lens LED should work for the sensor. 1/4 or 1/2 watt resistors are adequate, fuses should be placed on each rail and a DPDT switch can be used also. Below is the printed circuit board artwork for the LM339 circuit. The board is 4.0cm x 4.0cm as measured by the hash marks. The traces are 1mm which should allow you to etch the board using the lazer printer method. On the artwork "B" indicates the battery connections, "M" is the DC motor connections and the LED connections are at the top left. The red dots indicate connections to the positive +12volt rail, the green dots are the -12volt rail connections and the yellow dots are the virtual ground.Resize this image to approximately 8cm width and maintain the aspect ratio and you should get the proper size printout depending on your printer. Check the width of the bar at the bottom and right after printing it should be exactly 37mm. Below is an updated version of the PCB, we have reversed the orientation of the power transistor Q1, changed the pad layout for the potentiometer and enlarged the pads for the all the external connections, the power transistors and the potentiometer. The Sun Switch sensor uses green GaP LED's to sense the position of the sun. When a GaP LED is pointed directly at the sun it will produce around 1.7 volts across the leads. By simply placing two or three of the LEDs in series you can provide enough potential to drive TTL logic inputs on a bridge driver. The bridge driver circuit itself is simple and very easy to build. You can use any bridge driver chip that has TTL (digital input control) and is suitable for the size of DC motor to be driven. Parts to build a Sun Switch, motors, bridge drivers and LEDs, can be found in scrap electronics or computer hardware. This page describes a motor drive built with a L6202 chip and a sensor built with 5mm GaP LEDs. Cut a 2" length of 1.5" ABS pipe which will be used as the sensor housing. Use the tool shown below to mark 3 lines spaced at 10mm around the circumference of the pipe. The tool allows you to easily mark lines perfectly perpendicular to the pipes axis by adjusting the pipe in the tool then rotating it with a drill while marking it. Also mark a cut line as shown which will be used to trim the pipe housing before attaching it to the drive unit. The tool is required because it is rather difficult to cut pipe at a perfect 90deg angle with a hand saw. Layout the position of all the LED holes on the sensor housing as per the diagram below, there will be eight rows with three LEDs in each. Four rows of LEDs are connected in parallel and connect to either the east motor drive circuit or the west motor drive circuit. Center punch and drill the 24 LED holes in the sensor housing making sure that each hole is drilled perpendicular to the sensor housing axis and that each set of three holes are aligned parallel to the sensor housing axis. Each row is spaced 43 deg. apart and each LED is spaced .375" apart in each row. The east and west LEDs are separated by 23 deg. Use a proper size drill bit which will allow each lead to be firmly pressed into place. You can simply drill some test holes in a scrap piece of ABS to find the proper drill bit diameter. Build two LED sets consisting of 4 rows of 3 LEDs. You can build a simple tool by cutting in half a short piece of 1.5" pipe and using it as a jig to solder the LEDs. Lay out and drill an identical set of LED holes on the tool before you cut it. Place the LEDs making sure of correct polarity then solder the leads using light strand wire. Insert both sets of LEDs in the housing then insulate the leads with tubing or tape. Make sure you know the positive and negative leads of both sets of LEDs. Cut and cement a shadow plate between the east and west LED sets. Chamfer the edge of the plate and mount it parallel to the last row of the west LEDs. Trim off the bottom .5" of the sensor housing. The cut should be as close to 90 degrees to the pipe axis as possible as the sensor must align properly with the bearing in the drive housing. The Sun Switch sensor is basically an array of LEDs arranged on a curved surface. The sensor array is divided into an east and west array and separated by a vane which cast a shadow. When LEDs are exposed to direct sunlight within their focus angle they produce a small current (micro-amps) and associated voltage which is compatible with TTL inputs. Tracking - the shadow vane and first row of west LEDs are used for tracking. The shadow alternately covers then exposes the first row of west LEDs. When the first row is exposed to the sun it outputs a small voltage... which turns on a DC motor via a TTL circuit which drives the tracker and sensor in a west direction casting a shadow over the first row of west LEDs causing the voltage to drop and turning off the DC motor. This process repeats about every 60 seconds. Searching - when resetting in the morning or updating after a cloudy period all the rows of LEDs are used and the end result is a tracking condition as above. If the tracker ended the previous day facing west the rising sun will strike the east most row of LEDs and cause the east DC motor to turn on which will drive the tracker in a east direction ... the first row of east LEDs will drive the tracker about 45 degrees then hand off to the next row of east LEDs which will continue to the next then the final row of east LEDs which is next to the shadow vane... as the tracker continues to move east the vane cast a shadow over the last row of east LEDs causing the east DC motor to stop. The sun then creeps westward and after a few degrees of arc will expose the first row of west LEDs and tracking will begin. A interruption in tracking (cloudy period) will result in the same process as a morning reset but the west LEDs are involved rather than the east LEDs. "Building a 55 gallon Plastic Drum Root Cellar"
It is January and they are working great. Additional info: you do have to put a drain hole in the bottom for condensate. Just pour some water in the bottom and drill a 1/2' hole in the center of where ever the water pools. The lids are uninsulated and in Jan and Feb with nightly lows in the teens, the temperature inside was 34F. This was with 4" of straw thatch and 18" of course thatch, covered with a tarp. Note that 34 degrees is ideal for a lot of vegs like cabbage. However, potatoes and fruits like it around 40-45F. I would recommend additional insulation on the exposed barrel and also insulating the lid. Also fruits like it drier and right now the barrels are at 95% humidity because I didn't put the heavy thatch on until later. I would recommend for fruits to thatch the barrels completely from the start so the temperature inside does not go up slightly during the day - which causes it to breath in humid air at night when the barrel top cools. Over time this condensing drives the humidity up. That is ‘NOT’ now, nor is it ever a good assumption. Things are starting to return to a more sane place, where every family should have their own secure food storage plan, Hurrican Katrina, the recent floods in Texas, and the across wid-west, the drought in California. Food storage or prepping is viewed as a somewhat quirky, semi-paranoid idea, but anyone who has been forced to live through a natural disaster understands this it is a “VERY WISE” move. These are some notes compiled by a relative who spent forty days living entirely off of stored food supplies. I have known him for my entire life. He is a physician, and looks at this from a very analytical and physiological standpoint. I found myself modifying our family’s own food storage program after following his experience during those forty days. FREEZE-DRIED FOODS—Freeze-dried foods have a very long shelf life and are quite palatable and satisfying, both the vegetables and the meats. OILS—Oils are not sold as part of a survival package. They must be acquired separately. They are needed for cooking, palatability, and calories. Vegetable oils have important essential fatty acid nutrients, too. NUTS—Easy to store, and a satisfying supplement to many foods, as well as a valid source of protein. SEASONINGS—Seasonings are critical to making legumes palatable. They are sold as packets in grocery stores next to the legumes (dried beans). DIETARY SUPPLEMENTS—Fish oil caps, and hard-coat (i.e. oxygenation-resistant) vitamin pills. Just in case something is missing from the other foods. BULK SUPPLEMENTS—Fiber supplements and perhaps mag citrate. Under survival conditions they can make it so you have one less thing to worry about. PRESERVATION—Many foods come in large containers and once opened, unused portions are susceptible to spoilage unless properly stored. I use mason jars and evacuate air with a vacuum pump. (Completely filling the mason jar is another way to minimize the amount of oxygen in the jar, too.) Weevils can destroy grain supplies if grains are exposed to oxygen. PRACTICE—If you are not experienced, you will neglect supplies that are important and overstock supplies that are unimportant. PRESERVATION II—Light, heat, moisture, oxygen. To maximize shelf-life, keep these to a minimum. Freeze-dried meats and vegetables can be sprinkled onto moist foods and eaten with no additional preparation. This is convenient, and they are more palatable dry than reconstituted. Old canned goods may taste alright, but leave me feeling slightly queasy for hours. Ketchup, mayonnaise, and salad dressings are wonderful for dressing up foods. They have limited shelf life, probably about a year, but they are so good and so familiar it is worth keeping a fresh supply. Some freeze-dried fruits are more suitable than others. Raisins are substantial and flavorful, whereas strawberries and blueberries are puffed-up and acidic. The raisins would be more of a staple, and the other berries serve as part of a treat recipe. Powdered milk can be sprinkled onto foods (like oatmeal) and taste quite good (add peanut butter and raisins, please) and avoid the nuisance of reconstituting to an insipid, fat-free drink that must be protected from spoilage. Beverages will be limited. Coffee, tea, grog, crystallized drinks can be properly stored indefinitely. Liquid concentrates do not have indefinite shelf lives. I favor the fortified orange drink from my supplier. #10 cans are much more convenient than 5-gallon pails, unless one has carefully thought out his usage patterns. Lots and lots of mason jars will be needed in order to have opened a variety of foods without losing the balance to spoilage. The moist, hot, recently prepared rice and legume combo made me feel like I was eating fresh, rather than off-the-shelf survival foods. Many “combo-recipe packs” (e.g. beef stroganoff, spaghetti and meatballs, etc.) are very salty and should probably be “cut” with a bowl of rice. Pan breads (pancakes, waffles, cornbread) are more practical than firing up an oven to cook loaves or biscuits. Under survival conditions, baked bread will become a luxury item. 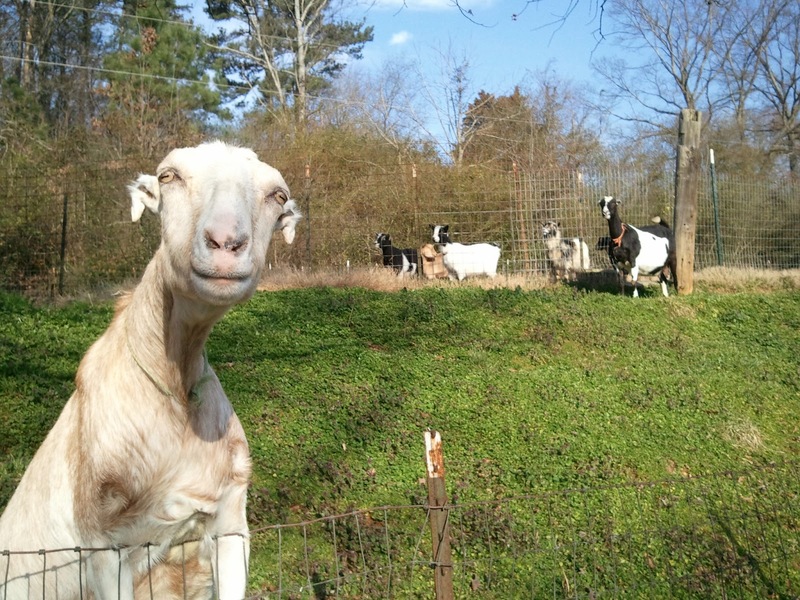 Living on a homestead, or in any rural area, or preparing for a potential natural disaster. Being 40 miles from the nearest grocery store tends to prompt one to learn good food storage. Some homesteaders have our own cattle, and tend to large freezer filled with beef, or are hunters and have that same freezer filled with venison. Freezing has become the perfect modern way to preserve our precious supply of good ole' meat. We tend to take our refrigerators and freezers for granted, but they are actually a very new innovation in the age old attempt to keep our food fresh and safe. They are methods that require a reliable supply of electricity. I can think of many situations, from severe weather to civil unrest, which would compromise this supply. For a truly secure supply of meat, we will look at five tried and true methods that do not rely on electricity. Drying – Nearly everyone is familiar with jerky or dried meat. Drying meat removes moisture that fosters bacterial and fungal growth. Meat is cut into thin slices to allow it to dry before it starts to spoil. While meat can be dried without any additives, it is generally soaked in a brine mix with salt and spices prior to drying. The salt draws more moisture out of the meat and also discourages spoilage organisms. Dried meat is highly nutritious and very lightweight which makes it a great provision for traveling. It can also be mixed with vegetables and water to make nourishing soup. Meat to be dried should be very lean as fat will not dry but rather go rancid. Dried beef, especially if it has been spiced, will last 6 months or so, but it never hangs around that long at my house. Salting – Salting is a very old way to preserve meat. Meat is cut into chunks and layered in a barrel with salt. Each piece is completely surrounded by salt. Salting pulls the moisture out of the meat and produces an environment that doesn’t allow bacterial growth. Meat that has been properly salted becomes very hard and must be soaked in several batches of water to rinse the salt out of the meat before it can be prepared for a meal. Salted meat is generally used for stews and soups. Salted meat will last at least six months, although it may have to be repacked as the salt absorbs moisture from the meat and becomes brine. However; the longer the meat is in the salt, the more work it takes to make it edible. Curing and Cold Smoking – Curing and cold smoking are the traditional ways to preserve fatty meats such as ham, bacon, and pastrami. Curing is the process of soaking the meat in a strong brine of salt and spices. The brine is often injected into larger pieces of meat to speed up the process. This not only flavors the meat, but draws out moisture and prevents the growth of spoilage organisms. Curing for preservation requires a stronger brine than those generally used with store purchased meat which are intended for flavor only not preservation. Once the brining process is complete, the meat is cold smoked to seal the surface as well as to add flavor. Cold smoked meat must not be heated beyond 110 degrees or the meat will start to cook and its keeping qualities will be compromised. Once the process of curing and cold smoking is complete, it can be wrapped in brown paper and stored in a cool dry place such as a cellar or basement. Do not try this with store purchased hams and bacon as they were not cured in a way intended for preservation and will quickly spoil. Cured and smoked meat can last up to 6 months, depending on the storage temperature. Pressure Canning – The most stable way to preserve meat is perhaps pressure canning. 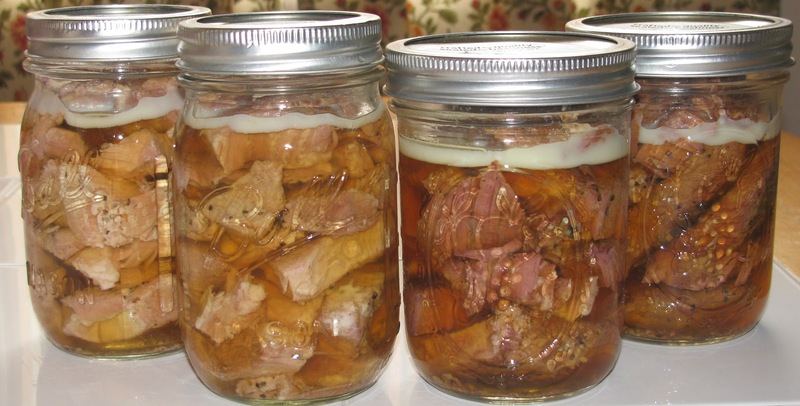 The process of pressure canning heats the meat sufficiently to kill all spoilage organisms, including the deadly botulism bacterium. The steps of the process must be followed carefully to assure safety, but they are not difficult. You will need a pressure canner, jars, lids for the jars, and uninterrupted time to do your canning. Meat needs to be cut into chunks small enough to fit in the jars. I prefer to purchase roasts and cut the chunks myself as I like them a bit larger than regular stew meat size. Because the canning process produces a very tender meat, inexpensive cuts such as flank or chuck roast can be used. While the meat doesn’t need to be extremely lean, trim most of the fat. I use the dry pack method for meat. Meat is packed tightly into pint jars, leaving ½ inch of space at the top. A teaspoon of salt is added to each jar. The rims of the jar are wiped with a clean cloth and a hot lid is screwed on tightly. The jars are then placed in the canner. Water is added to the canner about halfway up the jars and brought to a boil before the lid is sealed. Read the instructions that came with your canner as to the best way to operate it and the appropriate time and pressure for your area. It is also wise to have the pressure gauge on your canner tested each year by your local extension office. Pressure canned meat lasts for years and can be used for many dishes from stews to enchiladas. On The Hoof – The most ancient, and least considered, way of preserving meat is alive or “on the hoof”. Animals are kept alive and only harvested when needed. 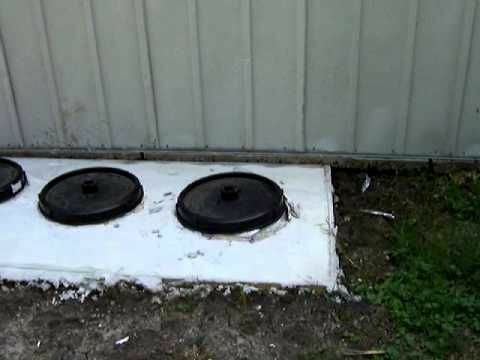 This method works best with smaller animals such as chickens, quail, and meat rabbits. A word of warning, modern hybrid meat chickens are not suitable for this method as they often do not survive much past their 10 week ideal butchering time. To do this most efficiently, eggs must be hatched and rabbits bred to provide a continuous supply of litters throughout the year. This method takes much more planning and work than any of those mentioned above, but provides a continuous supply of fresh meat if done correctly. The On the Hoof method is best suited to milder climates where some feed is available year round, but can work anywhere with careful planning. Food storage is great insurance against many misadventures, both personal and more widely spread. It is wise not to base the security of your food storage program on the stability of electrical power. While many food storage items, such as grain and root vegetables, are easily stored with no refrigeration, some thought and effort is required for electric free meat storage. Yet the vital protein and nutrients supplied by it, especially in times of stress, make it well worth the effort. These five methods, all with advantages and disadvantages, will allow you to store that meat with no worries. When times are good, stock up that freezer, but be prepared with some other methods if the unthinkable happens. ©2015 DemOniX™ LLC. Simple theme. Powered by Blogger.